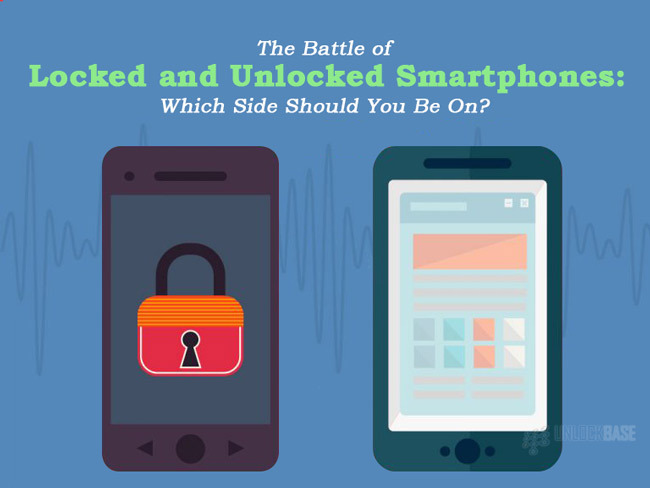 The Battle of Locked and Unlocked Smartphones: Which Side Should You Be On? “I want to unlock my phone!” – Tons of consumers have been curious about phone unlocking for a while now. Some may be aware but may have also been confused about unlocking with illegal practices on mobile. One may be aware though hesitating. Truly, unlocking has reached various people from around the globe. However, misconceptions continue to prevail due to lack of knowledge. How about locked phones? Sure, many people rely on contract phones – those that offer plans and great perks. This is usually due to the reason that they are more trustworthy because they are sold by well-known carriers. However, what could be the main difference between these two types of smartphones? How do they differ? What could be the pros and cons of purchasing them? Which smartphone type suits you best? Which side should you be on as a consumer? • Locked smartphones are those mobile units that one can purchase from a carrier. In particular, they are restricted and can only work on the network provided by the carrier. Going further, what consumers do not know about purchasing contract phones is that those devices are locked by a program code which then disables the use of another carrier’s network. This explains why if you replace your carrier provided SIM card with a different one, it wouldn’t work. • Unlocked smartphones, on the other hand, are mobile units which are directly purchased from a manufacturer. However, it can also be in the form of a locked phone that has been unlocked via a third-party service or the purchaser has acquired a manual code to unlock the unit. Either way, an unlocked smartphone enables the use of a different mobile carrier, hence, the reason why some can take and replace SIM cards much often than others. It may be hard to distinguish an unlocked smartphone from a locked unit especially for non-tech savvies. Having that said, here’s a few factors to consider in identifying whether a smartphone is locked or unlocked. The easiest way to identify whether a smartphone is locked or unlocked is through its branding. One can easily tell if the phone is locked if it has the company logo of a carrier which includes Sprint, Verizon, AT&T, and T-Mobile. Most often, these companies offer contract phones which strictly runs only with its provided network. However, it’s also best to be aware that a manufacturer’s logo (i.e. LG, Samsung, HTC and many others) is different from the carrier’s. More so, they can both be indicated on the unit. One path to identify an unlocked unit is through its SIM card slots. Most likely, a smartphone would be designed with two separate SIM card slots if it’s meant to be utilized with different carriers. Even though the chances can include that the unit is supported by multiple carriers, hence, a locked phone, a Dual SIM is still a definite factor in the identification of unlocked smartphones. If you want to be 100% sure about the unit especially during purchase, you can search the model number on the Internet. You can either check on the details included in the flyer or directly ask the salesperson about it. Now, when you get your hands on relevant results online, you will be able to determine whether the phone’s sold as locked or unlocked and even scan through advanced details on the unit for a better purchase. Whether you have asked your carrier’s help or availed a third-party unlocking service on unlocking your locked phone, you can confirm this through inserting a different SIM card. If your smartphone worked with a different carrier’s SIM card, then that surely is already unlocked. However, if it didn’t, then it’s still locked. ✔ They are cost efficient. Most likely, carriers offer phones at a much lower price, given that they are contracted for a year or two of exclusively using the phone on the carrier’s network. It’s very much practical for those who don’t want to spend too much on a smartphone. ✔ They are equipped with extra warranty options. Compared to purchasing an unlocked phone, locked phones generally come with a carrier’s exclusive warranty program. This is beneficial especially when the phone starts malfunctioning shortly after the purchase. The consumer can easily file a warranty claim through the carrier and get a replacement phone without having to wait for the manufacturer to repair it. While the warranty options may differ from carrier to carrier, they are still worth the consideration. ✔ They are available everywhere. One may encounter various phones at the mall, however, the chances are locked or carrier phones are much common on stores. ✔ They come with great perks. What most people love about locked units is that it comes with perks that unlocked phones are lacking. This may come in accessories, freebies, or the plan itself. Hence, regardless of a two-year contract, consumers still prefer to purchase this type of smartphones. ✘ You can’t switch carriers. What people are unsatisfied about locked phones is that you don’t get to switch on a different carrier especially when the provided service is not useful for you. More so, with the plans being offered. ✘ You’re bound to a contract. It is one of the many things that makes a locked phone worrisome. You will have to think about the two-year contract for a while just to get that great phone in your hands. ✘ You have to endure some bloatware. Think about this: you are purchasing a great deal of a phone that is only equipped with 16GB of internal storage (which you let go as it’s already a great deal for the purchase). Then, upon using the phone, you discovered that there is only a minimal amount of storage left on your phone. The suspect? The load of bloatware the carrier company has incorporated in the unit. Which, by the way, cannot be uninstalled. However, doing so may result in instability issues. ✔ They work with various mobile carrier options. The most common reason why people switch to unlocked units or have their phones unlocked is that it is definitely capable of working with every other carrier. It is simple as popping out the SIM card from the slot and replacing it with a different one to avail a better service. ✔ You are not bound to any contract. This goes way back to the above stated, as contracts may refrain you from using your preferred carrier – despite the existing carrier being unusable. With unlocked phones, you are free to switch to any carrier at any time. ✔ There is a fewer bloatware. The thing about unlocked phones is that they are not incorporated with unnecessary apps that consumers do not usually need. They might contain apps, but most likely, they are those that are installed by the manufacturer and won’t consume the entirety of the unit’s internal storage. ✔ They are cheaper than locked phones. Unlocked phones may seem as expensive upfront, however, given that they are purchased in a take-it-and-it’s-yours-forever manner, they are cheaper than the locked units. If you will take the time to compare the price difference between the one-time payment over unlocked phones and the expense you will be spending on the contract of a locked phone, you will get to see that the initial purchase is way much cheaper than the wholeness of the expenses from a contract phone. ✔ They are travel-ready. A particular complaint about locked phones is that they are not practical for use when traveling – given such reasons as non-compatibility or costly charges from partner services from outside the country. With that said, an unlocked phone is most likely to be efficient as one can simply change SIM cards to avail the service in the area that they are in. ✔ They are practical for resale. Given that they are not bound to any contract; a consumer can easily sell them to any potential buyer all over the globe. Even more, the consumer can always swap to a new unit upon resale. ✘ They are expensive for initial purchase. What people find as an issue with unlocked phones is that they’re particularly expensive given the initial purchase compared to locked phones which are offered at discounted prices. As a consumer, it is best to go for the type of smartphone that fits you and your needs. 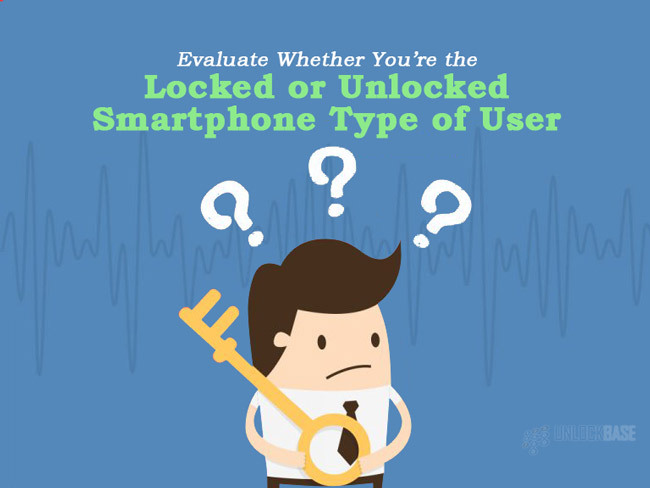 With that said, here are some considerations for you to evaluate if you are the locked or unlocked smartphone type of user. 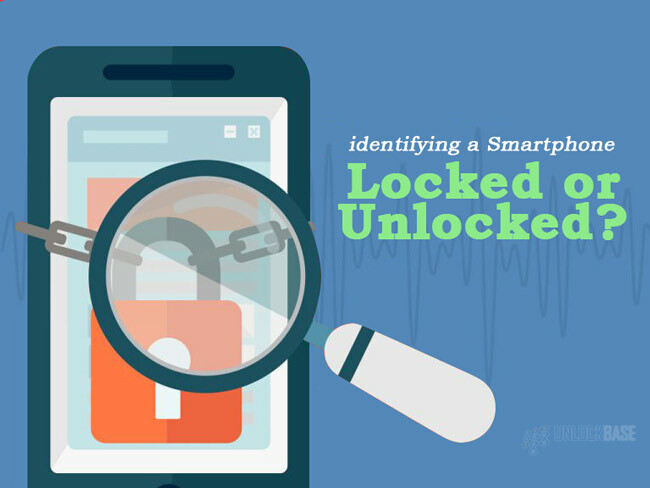 Are You the Locked Smartphone Type of User? 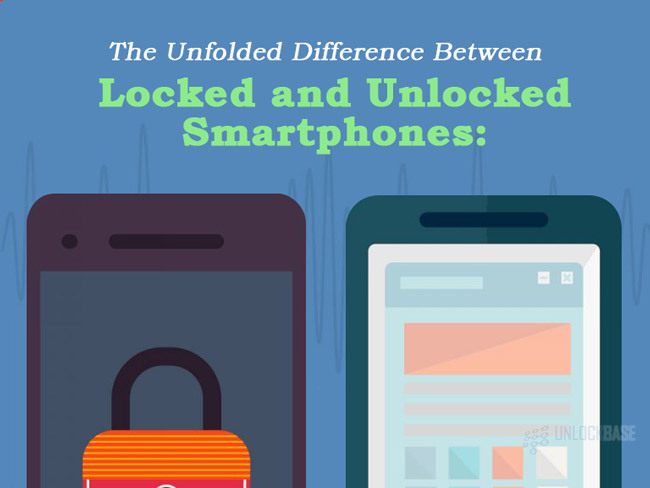 Are You the Unlocked Smartphone Type of User? 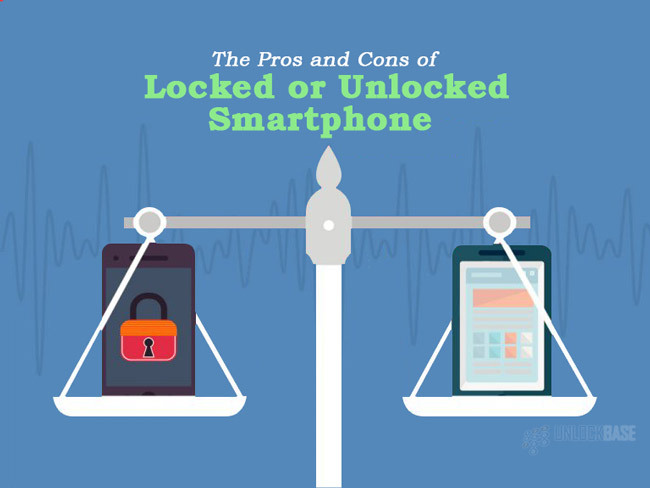 There are various reasons why you should side on either locked or unlocked smartphone. However, what this article highlights are the benefits that you can earn from purchasing either of them. Sadly, there is no definite winner – only of what is fitting for you and your needs that makes one your perfect match. However, if you are unwilling to pay upfront but loves the perks of unlocked phones, you can always ask an unlocking service to have your phone unlocked. This way, everybody wins!